Since one of my favorite directors, Sidney Lumet, recently passed, I decided it was time to watch one of his all-time classics, “Serpico.” The movie stars a young Al Pacino as Frank Serpico, a New York City cop who finds corruption in his own ranks when he moves from patrolman to plainclothes work. At first Serpico tries to avoid the graft of local bookies by moving to another precinct. Four transfers later he discovers he can’t relocate to resolve the problem. It seems that every cop Serpico has to work with spends more time picking up bags of money than doing any police work. At this point I thought it would be a good idea for Serpico to go work for the post office. Clearly, he is the minority when it comes to fitting in. And it’s not just the shakedowns. In the straight-laced, button-down police department, he sticks out like Lady Gaga in a Spanish Monastery. 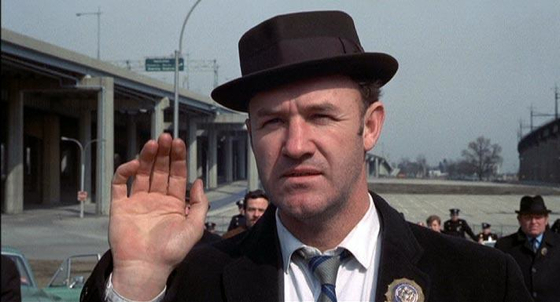 In this photo, Doyle, another New York City, played by Gene Hackman is dressed in conservative blue and pork pie hat. He also wouldn’t think twice about cheating and stealing if it would advance his career. It would be a bad idea to ask him for directions let alone help in a police matter. When it comes to protect and to serve, he had his own agenda. He’s also a mean S.O.B. 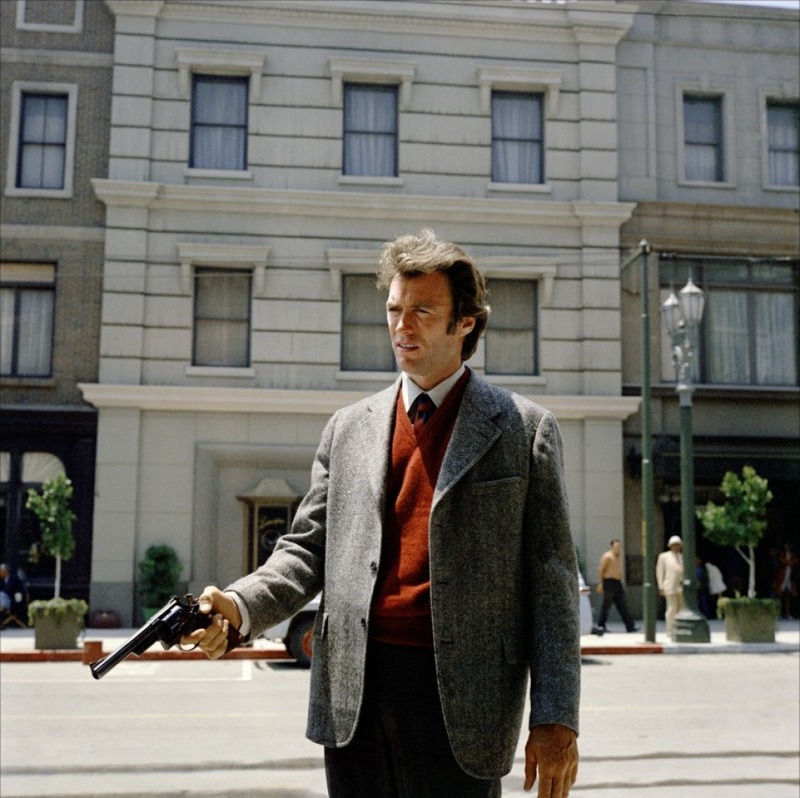 Then there is Frank Callahan, aka “Dirty Harry,” a San Francisco police detective played by Clint Eastwood. You would think the California sun and ocean breeze would produce a mellower cop, but Callahan is ornery, cantankerous and doesn’t like anybody. He also likes to settle things with his gun, which is the size of a Manhattan bathroom. Dirty Harry wants no high-five. Although this photo shows him in an outfit fit for work at the public library, Callahan actually foils a robbery during his lunch hour by lighting up a crowded San Francisco street with his 357 Magnum. “There’s nothing wrong with shooting as long as the right people get shot,” Callahan barks to his superior. I don’t think many would disagree. But the problem is the wrong people get shot all the time. Callahan’s belief of shoot first, then second and third is impractical as it is cool. It only works if you and he are on the same page. If not, there are no oral arguments. When a group of vigilante cops try to corrupt Callahan in “Magnum force,” he doesn’t request a transfer. This is the big difference between Callahan and Serpico. Callahan sees a problem and deals with it. Serpico sees a problem and realizes it’s bigger than he can manage. When it comes to police corruption, Callahan eradicates it with his gun. 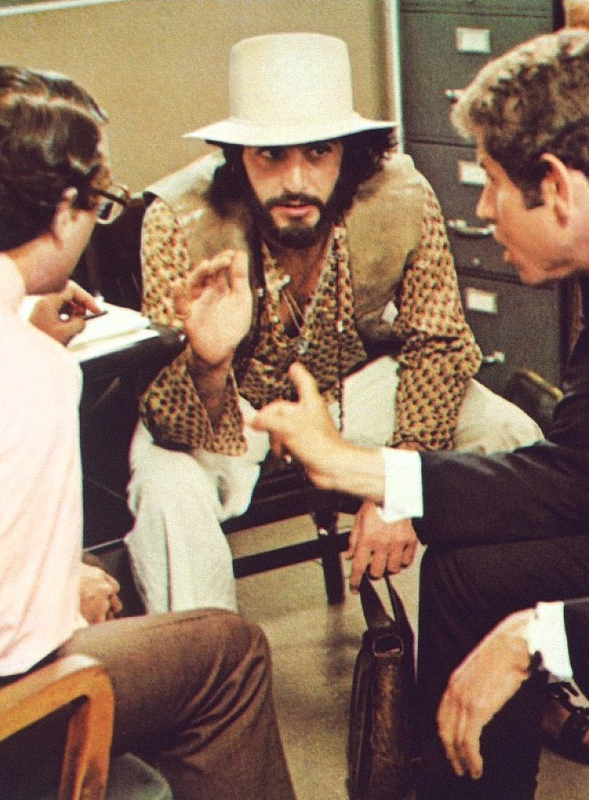 When Serpico can no longer avoid it, he goes to commissioner, the mayor, then eventually the press. Callahan walks away unscathed at the end of the movie. Serpico gets shot in the face in a police setup. Where Callahan inhabits the world of a Hollywood screenwriter, Serpico is based on an actual police officer who eventually exposed the rampant corruption within the New York Police Department. Callahan is the cop we all want. Serpico is the one we should hope to have even with the purse.